Obituary – Pancoast, Danna J. (Clark) « Perry High School Alumni Association, Inc. Band 54-56, Class Assembly 54-55, Home Room Secretary 56-57. 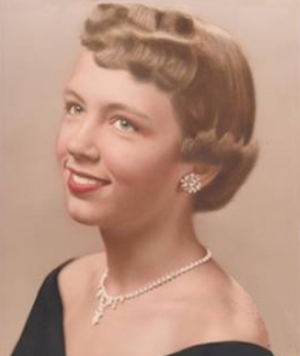 Danna J. Pancoast 77, retired bookkeeper for the Oklahoma Credit Union League, passed away May 22, 2017 in Tulsa, Oklahoma. 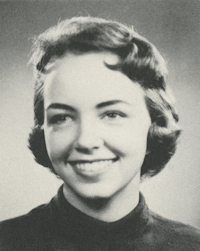 She was born August 28, 1939 in Perry, Oklahoma to parents Homer and Lucille (Roberts) Clark and graduated from Perry High School in 1957. A memorial service will be held 11:00 AM, Wednesday, May 31, 2017 at Stanleys Memorial Chapel, 3959 East 31st Street Tulsa, OK 74135. Danna is survived by her two sons Kirby Pancoast & wife Melanie and Page Pancoast; Nine grandchildren; And sixteen great-grandchildren. She is preceded in death by her parents, son Jay Paul Pancoast, and one brother Joseph Homer Clark.